I'm not sure how they do the hiring process for bus drivers in Macau. I'm guessing the process involves discarding the applicants with no accidents or tickets and hire the bottom of the pile. Or else they just recruit the meanest and toughest they can find, people who relish slamming on the brakes at the last possible second when they know they have a packed, standing room only, holy-cow-there-are-six-people-pressed-up-against-me bus. Maybe the drivers are used to getting around town on motor scooters, capable of making fast and accurate lane changes, and simply forget they are driving a huge city bus instead. The traffic in Macau doesn't help, but after experiencing the absolutely insane traffic in Manila, Philippines, I find I can't compare the craziness. 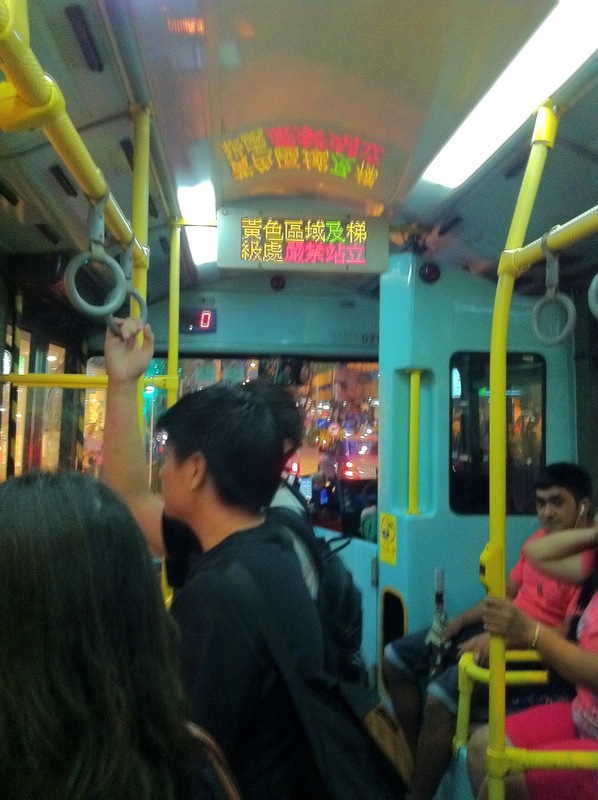 Riding the bus in Macau is an exercise in surfing. My balance has never been better! Today I was riding the bus with my youngest son. We actually got a coveted seat, and I tilted my head back against the headrest for just a second and suddenly Ben was saying, "Mom, don't we need to get off here?" Despite the starting and stopping and swerving and the loud engine, I somehow dozed off. Good thing I had him with me, and that he was paying attention. I see locals who look like they are snoozing all the time. I always wonder if they've been riding the same bus route for so long they just naturally wake up at the right stop. I'm not to that point yet - I need Ben the Bus Alarm! I am a macau local and I think the requirement for bus driver here is as long as you apply you get the job!